When we think of school reunions we think of high school or college reunions. We get an invitation, pay to be able to go because it is usually a dinner and we get all dressed up to go. We look forward to seeing old friends and those we didn’t consider friends. And we look forward to seeing how everyone has changed or not changed. 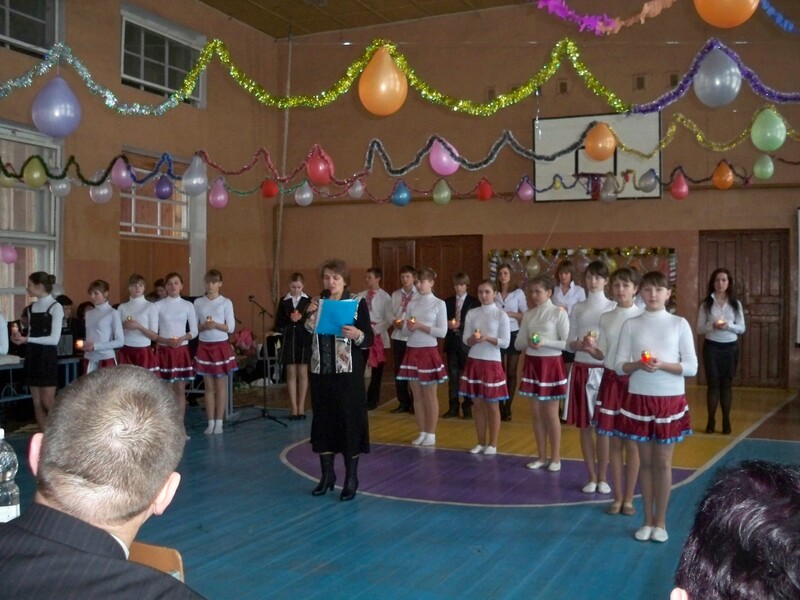 When we lived in Chervonoarmeysk, Ukraine we were invited to a school reunion. Our friend Nadia was celebrating her twentieth reunion. Now they went to school until eighth grade then went to Zhyromer for high school and lived away from home if they were to continue their education. 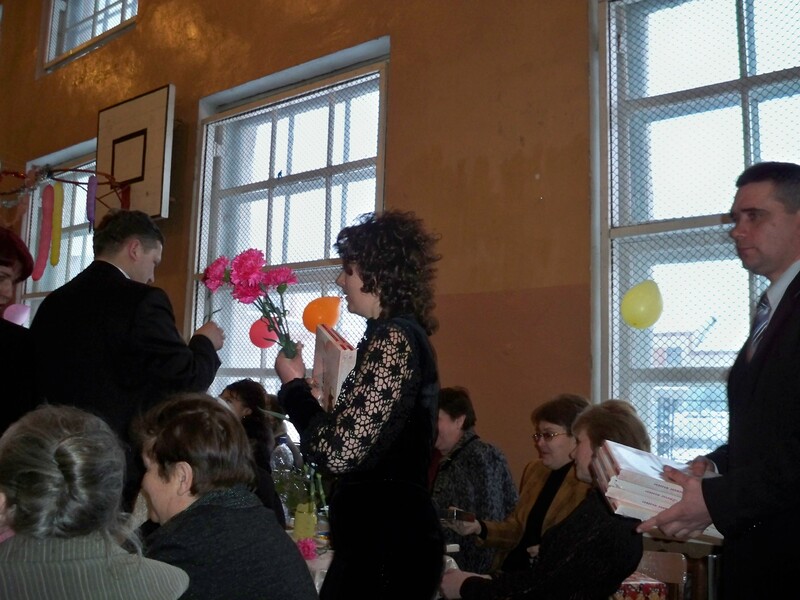 It was held during the day at the school and anyone could come but the class being honored was the ones who had graduated twenty years ago. There were a lot of teachers there. 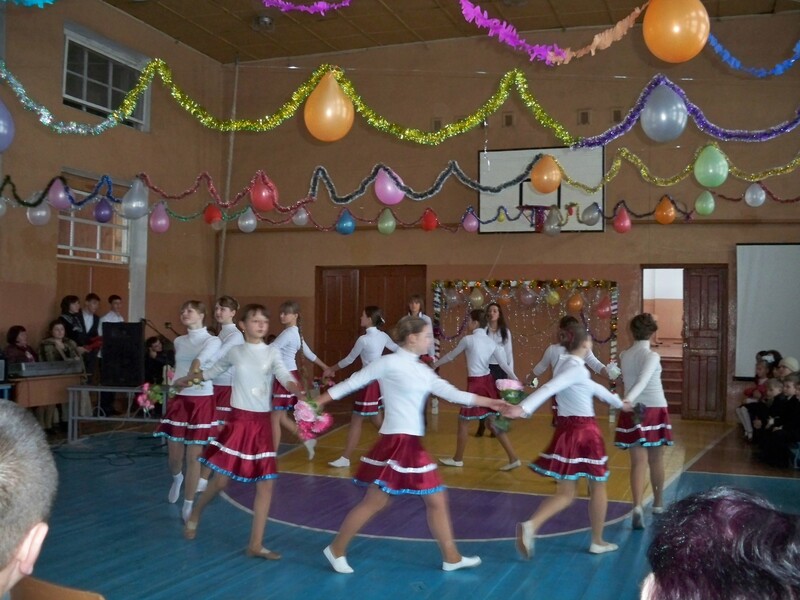 The students performed in dances choreographed by them or plays they wrote. Then someone from the class being honored read some poetry. All this was held in the school auditorium. When the program was finished it was time to honor the teachers. Different students from the class presented gifts to the teachers and thanked them for teaching them. The gifts were usually flowers or candy. 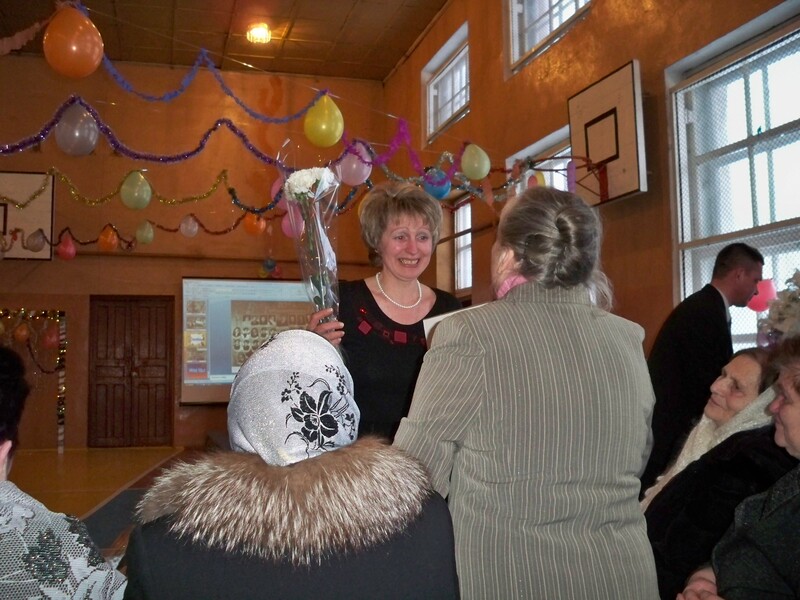 After that class finished honoring the teachers other former students also honored their teachers and gave them gifts. When that was all done the principal got up and told how happy he was that the former students could be there and then gave more candy to all the teachers. He welcomed guests. Bob and I were introduced as guests. Then everyone was served a small bag of chips and a drink like Kool Aid. I got to thinking if we ever did anything like that. Have any of your teachers been invited to your class reunion? Have you ever honored your teachers? I know I haven’t. I’ve attended several class reunions and I don’t remember any teachers being there and I sure don’t remember anyone singing the praises of a teacher at a reunion. It was just nice to see how the teachers were honored. I posted some time ago how the veterans were honored. Maybe we could learn something from another country about honor.